What can I do as an artist with Gluon? Decide in which files you want to work, make changes and submit them easily. Lock files so that nobody can work with them at the same time. As an artist your job is to create models, images, videos... Some are huge and the version control must deal with them seamlessly. Easily browse, select and download the files to work on. Work faster downloading only what you need. Pick the files you need to work on. 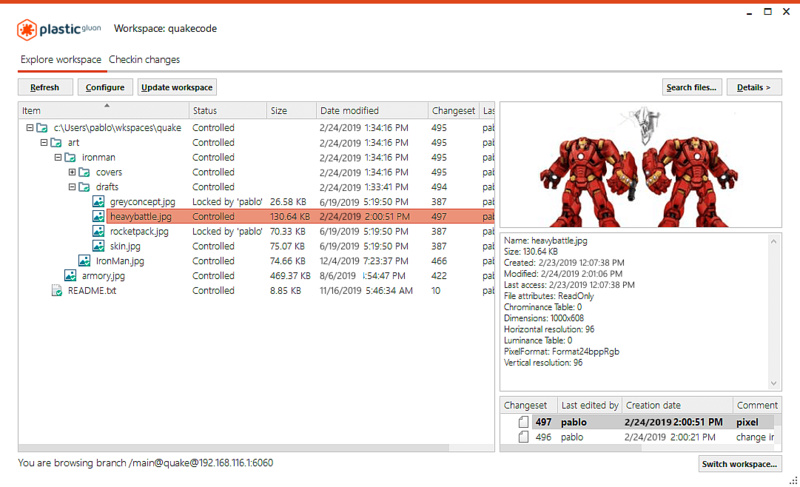 Checkout the files to lock them and prevent others to change them while your changes are in progress. And the new Plastic Gluon GUI focuses on this way of working. Everything else is removed. No coder-oriented features, only operations relevant to artists. It is easier to preview files and its history and to checkin your changes. Everything else is secondary. 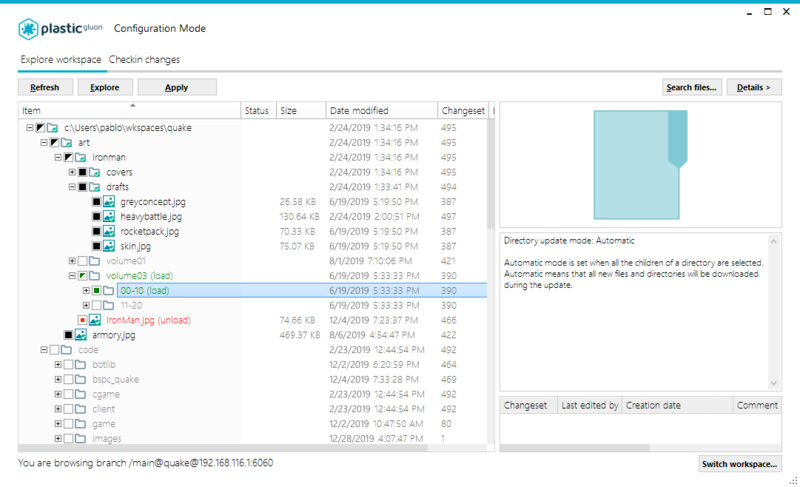 Enter in “Configuration Mode” and just select files and directories to download. It is that easy. Artists follow a different workflow than developers. No need to download “full trees” (as you would do with code) to build. Just the files you’re interested in. This is a radical change from the coder-oriented workflow and the key to make Gluon usable to artists. Game development is a team sport. Different roles, different skills but a common goal. 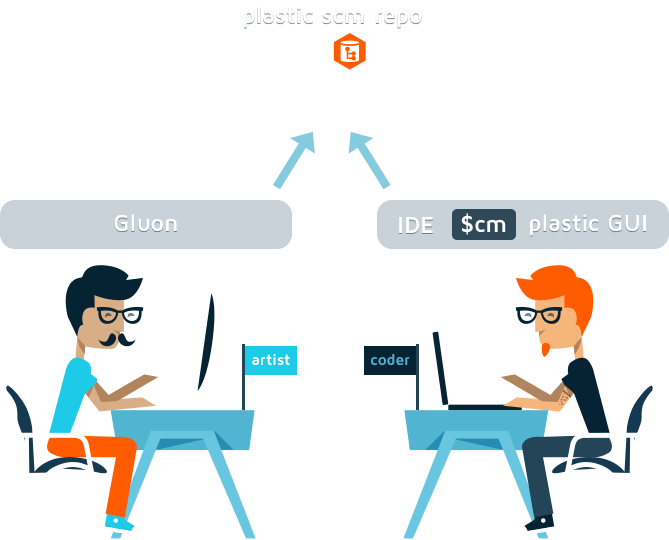 Plastic SCM can handle code and art with different interfaces and workflows for programmers and artists. Artists will take advantage of Gluon simplified interface and workflow while developers will use branching & merging and distributed development. And Plastic will store code, branches and huge binaries seamlessly. 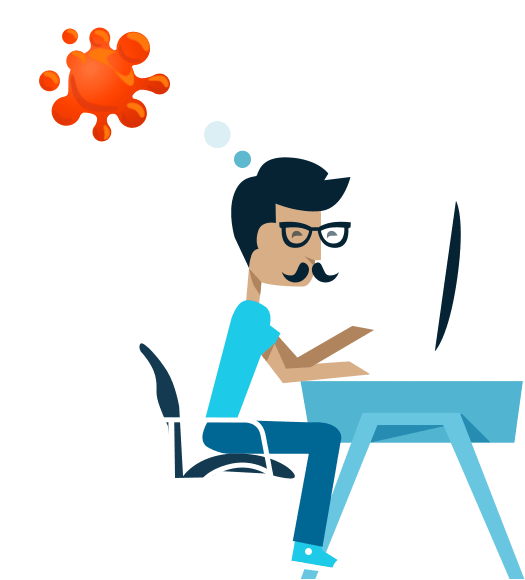 Plastic Gluon is included with the Team and Enterprise Editions starting at only $9.95/user a month. Find out more. Zac Litton, CTO at Telltale Games. Find here the user guide.